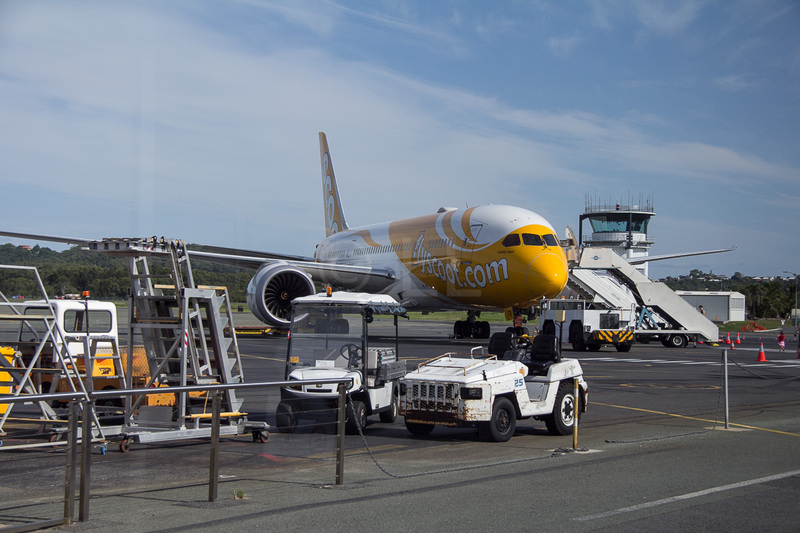 Morning Glory Tuesdays – Two to fly with Scoot! 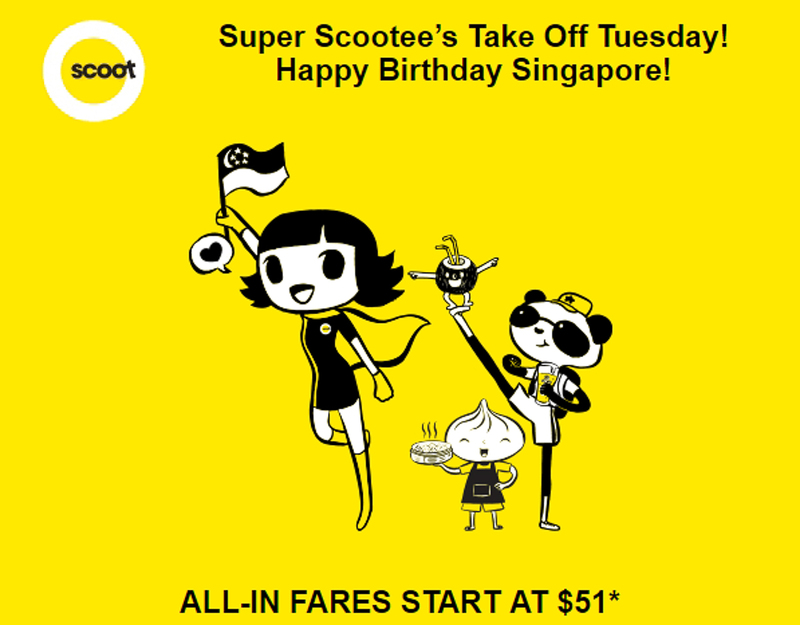 It’s Singapore’s 51st birthday on 9th August 2016, so Scoot offers $51 Birthday fares between 7 am and a minute to midnight (GMT+8) from the Scoot website. You can also download their Mobile app to get offers and make your booking. It’s available for iPhone and Android. Fly on their all-Dreamliner network for fares starting at SG$51 to Hong Kong or Guangzhou by 29th October, or to Kaohsiung or Bangkok (Don Mueang) until 31st October. If you’d like to fly further and up to 17th November, you have a wider choice of options. SG$ 101 can find you a flight to Amritsar, Jaipur or Perth, or for SG$ 141 you can look at Qingdao, Shenyang Tianjin and Hangzhou. Add another SG$10 and your $151 can get you on your way to Melbourne, Sydney, Gold Coast, Dalian or Taipei. Osaka and Seoul are available from SG$ 221 and Tokyo from SG$ 241, with the most expensive offering Jeddah at SG$ 281, though that’s a FlyBagEat price. Scoot is a member of the Singapore Airlines Group, so why don’t you join their Krisflyer program and earn Krisflyer miles when you fly.